Could a New Deadline Bring Down the Moran Plant? A man walking on the bike path called out to a gaggle of camera-toting reporters waiting outside the Moran Plant. "Are they tearing it down?" he asked the media types gathered there on July 21. He wasn't the only one wondering where things stand with Burlington's dormant coal-fired electric plant, which is supposed to be transformed into a cultural landmark. At that midsummer press conference, Mayor Miro Weinberger confirmed to reporters that the city and its chosen developers, New Moran, were dissolving their memorandum of understanding. But he also announced that he is giving the group one last shot: It has until November 11 to convince him the plan can work. "There's a real chance this can get done," Weinberger maintained. On Twitter later that day, people were skeptical, suggesting outlandish alternative proposals under the hashtag #badmoranideas. Among them: a Phish museum, an indoor bungee-jumping complex, a shooting range and a mayoral mansion. What does the dissolution of the MOU really mean for Moran? Burlington city councilors have different assessments. "I definitely still think it's still viable," said Adam Roof (I-Ward 8), one the project's biggest cheerleaders on the council. "My opinion is, it's not going to work," said Dave Hartnett (I-North District). Kurt Wright (R-Ward 4) suggested the answer is somewhere in between: "I don't want to say it's over, but I would say we are nearing life-support time." Two and a half years have passed since voters approved a proposal to rehab the industrial relic on the Burlington waterfront into an events space and year-round marketplace with food and art. The idea came from an unconventional team: a pair of recent University of Vermont graduates, Tad Cooke and Erick Crockenberg, and their more senior partner, Charlie Tipper. They dubbed their effort New Moran. Burlingtonians weighed in on Town Meeting Day 2014. 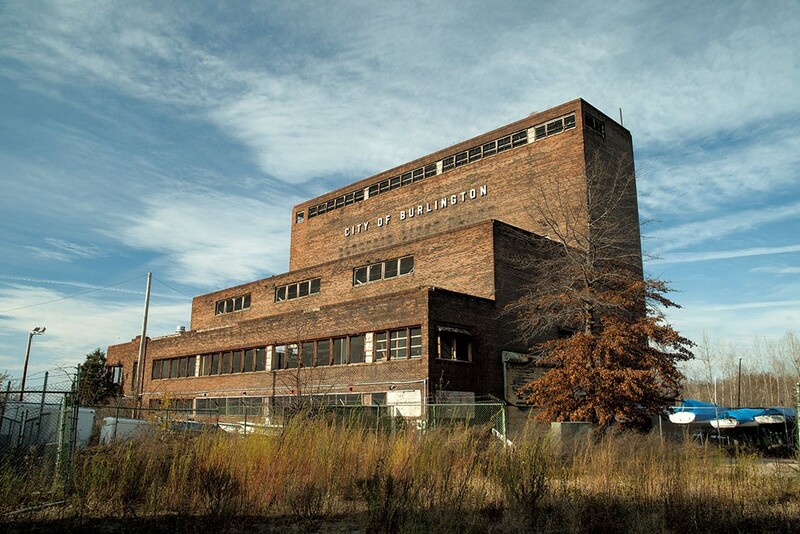 At Weinberger's direction, the ballot question clearly spelled out that if the project didn't work out, the city would knock the brick building down. There was no mention of a deadline. Previous administrations had left it even more open-ended. In 2005, voters rejected then-mayor Peter Clavelle's plan to put a YMCA fitness center in Moran. Three years later, they approved mayor Bob Kiss' proposal to turn it into an ice-climbing gym and children's museum. Little visible progress had been made four years later, when Weinberger, a former developer, canned the Kiss plan, calling it "the most complicated financial deal I have seen in my 15-year career specializing in complex public-private projects." But Weinberger's chosen proposal has gotten complicated, too. Since winning voter approval, New Moran has missed city-imposed deadlines and failed to pass the administration's litmus test — proving that their plan is, in fact, financially viable. Until it's convinced, the city, which owns the building, won't pitch in $6.3 million in tax-increment financing. The New Moran team recruited supporters who've collectively pledged $4 million, but it decided to stop asking for donations last December until it had addressed the administration's concerns about its lack of development experience and the absence of committed tenants for the project. This spring, New Moran brought on Redstone as a partner. Following the development company's advice, it scaled back the project from $34 million to $20 million, eliminating a glassed-in maker space that would not have been a big moneymaker. Not long afterward, Redstone began working with the owners of Higher Ground — the same entity New Moran had been trying to land as an anchor tenant for its event space — to create a 1,500-person music venue in Winooski. Calling it a conflict of interest, Weinberger asked Redstone to withdraw. Next came the July 19 news that the city and New Moran were scrapping their MOU. Signed in the summer of 2014, that document established an exclusive relationship between the city and New Moran. It was meant to lay the groundwork for a development agreement that would have been inked in March 2015. At the July 21 press conference, Weinberger told reporters that the dissolution of the MOU allows the city to start figuring out how much it will cost to tear down the building — and what could replace it. It also frees up the city to court other developers to complete the project. Weinberger made it clear that "We're not going back to square one," meaning any new developer must adhere to the basic proposal — an events space with food and art components — that voters approved. The mayor also emphasized that he wasn't cutting ties with New Moran. City Council President Jane Knodell (P-Central District) said she hopes that New Moran "will be able to present a viable project." But, she adds, "It's hard to deny that terminating the MOU makes it harder for them to do that." Referring to Weinberger's announcement, she continued, "In a way, it's trying to have it both ways ... by ending the relationship but still saying we're giving them a chance to make it work." The city will make a final decision about whether Moran gets redeveloped or torn down by late 2016 or early 2017, Weinberger said. Despite the setback, Cooke argues that the new time limit could actually help New Moran's cause. "We are really confident that we'll succeed," he said during an interview Thursday. Getting tenants to commit has been difficult — the lakeside location is a tough sell in the winter — and Cooke hopes a firm deadline proves motivating. To date, neither tenants nor funders have wanted to be the first to sign on, Cooke said. "Everyone says it takes two to tango, but this project takes five to tango." Perhaps their biggest challenge is finding economically viable tenants that also comply with the Public Trust Doctrine. Enshrined in the state constitution, it requires that filled lands along the lake serve a public purpose. Condos, for instance, would be out of the question. New Moran is still talking with the owners of Higher Ground, hoping to convince them to operate a smaller event space that would be less music-oriented than what they have planned for Winooski. Finding a developer partner is also crucial — the city won't agree to any deal without it. Cooke said New Moran still wants Redstone in that role. "There are only so many people that have the experience to guarantee a project of this size and complexity," he said, noting that he doesn't see a conflict of interest because they're now contemplating a different kind of venue than what Redstone and Higher Ground are working on in Winooski. Erik Hoekstra, Redstone's development manager, said the firm is willing, but he isn't sure if the city would agree to the arrangement. During a separate interview, Weinberger sounded open to the idea — "I welcome the New Moran team continuing to explore that," he said. In the meantime, Hoekstra is still advising the team informally. He said he thinks New Moran still has a shot, but any proposal it puts forth will likely be "less ambitious." One possibility: complete what Hoekstra calls a "modest first phase" that would make the building habitable in order to demonstrate that the New Moran team can get something done. "It has to be funded with effectively free money," Hoekstra said, explaining that the project is unlikely to generate revenue to repay would-be investors, and philanthropic sources are less reliable. "Given that we have a fairly small community in Burlington and we have some major fundraising initiatives going on with the [Community] Sailing Center and the YMCA and a number of other very worthy projects in the community, the capacity ... is somewhat limited." For anything to happen, Hoekstra said, "New Moran and the City of Burlington and the community and the private sector — everybody has got to get together with a very pragmatic and collaborative approach. It can't be an approach where everyone is in their own corner looking out for their own interests." Where does that leave Weinberger? "Politically speaking, I think the mayor might be in a tight spot, because there's still a portion of people who live in Burlington who want it revitalized," Hartnett said. That includes Knodell. "My own view is, it would be a collective failure if we end up tearing that building down," she said. "It has the opportunity to be a real landmark project that will attract people to the waterfront year-round." To its credit, New Moran has cultivated support from a wide range of people. Its Champions Council includes 46 people, including Bill Truex, cofounder of the TruexCullins architecture firm, UVM president Tom Sullivan and Jerry Greenfield of Ben & Jerry's. "New Moran has been very lucky to have a great collection of donors who really see the future of the building," said Paul Bruhn, executive director of the Preservation Trust of Vermont and a member of the Champions Council. Cooke said the group has spent several hundred thousand dollars on the project since September 2013, including annual $33,000 salaries for both him and Crockenberg. A number of engineers, architects and other professionals have been working pro bono. But inaction, too, has a cost. Although the city has not spent any real funds on Moran, it has set aside millions that could be building or fixing something else, such as Memorial Auditorium. The longer the project remains in limbo, Burlington officials say, the more it undermines public confidence and the city's goal to revitalize the northern waterfront. Weinberger pointed out all the projects near the Moran Plant that are either complete or in progress: the skate park, bike path renovations, a new sailing center and a marina. "I think you can see signs all around us that we are making good on what the voters wanted to happen here on the northern waterfront." But, he continued, "Clearly we're not going to fully succeed at this historic effort of rebuilding the northern waterfront without resolving the future of the Moran building." Burlington's multiyear effort to redevelop the decrepit Moran Plant is no more.